Slow and Steady Wins the Race: Designer Sample Sale... Unusual suspects! 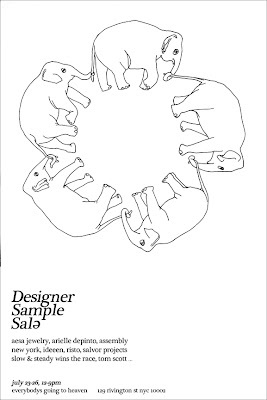 Designer Sample Sale... Unusual suspects! Assembly New York will host an off-site designer sample sale featuring otherwise hard to find independent womens & mens designers. The sale will be set up like a temporary shop on Rivington in the lower east side and is open late, til 9 every night!